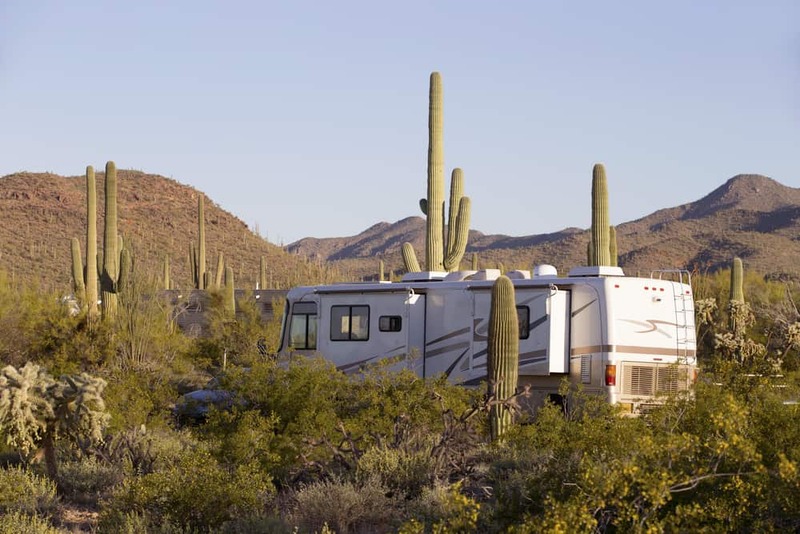 Taking your RV for a spin will sooner than later lead you down to the state of Arizona, and once you get there, it will become clear why it’s one of the most popular states for outdoor activities. With lots of sunshine and a plethora of awesome places to visit with your RV, you might have trouble choosing where to start from. 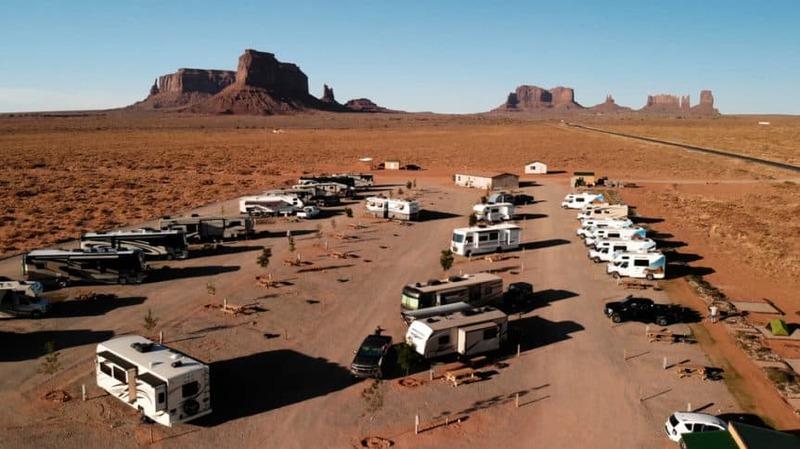 Today, we will list some of our favorite RV campgrounds in Phoenix and Arizona, where you can satiate your thirst for exploration. Once upon a time, 50.000 years ago to be exact, there was a meteor that was really eager to visit earth and leave a mark, and boy, oh boy, did it leave one. When the asteroid hit the earth, it left a hole that spans around a mile and is about 600 feet deep. Today, it’s one of the most famous tourist locations in the state. The Apollo Astronaut memorial park was also built near, so you can visit more than one interesting location if you check this site out. The best place to stay here, if you are looking for an RV resort in Arizona, is the Meteor Crater RV Park. One of our favorite ways to experience the Grand Canyon is by taking a scenic tour with its railway. You can easily get there with your RV, and park at the Grand Canyon Railway RV Park, where you will be greeted with some of the friendliest and most accommodating staff. Leave your RV knowing it’s secure while you take the railway to experience the hassle-free view of the Grand Canyon. There is also a volleyball court, a basketball court, and unlimited access to Wifi. We can safely say this is one of the most well-equipped and secure RV resorts. Looking for a place to hike, bike or just watch some amazing scenic backgrounds as you take a nice drive? The Saguaro National Park offers all of this, and much more. Many of us have probably seen parts of the Saguaro National Park without even knowing it because it has often been the location used to shoot popular Spaghetti Westerns. The park got its name after the protected cactus species called saguaro. You can find these gigantic cactuses all over the place, and take memorable photographs next to it. Once you roll into the park with your RV, the Rincon Country West RV resort is the location you want to be heading to. There, you can park and stay for the night. One thing that will definitely remain in your memory of this place is the breathtaking sunsets that can only be witnessed here. Going for a long drive down the hot Arizona state? Take a rest in one of the 638 places found in the Desert Shadows RV Resort in North Phoenix. This is, undisputedly, the best RV resort in Phoenix, as the resort itself functions like a small but well-oiled machine. It can easily be mistaken for a small city since its location is not that far from all the good things Phoenix has to offer. At the compound, you can find billiard tables, clubhouses, heated pools, a gym, and many other things that can provide entertainment for the whole family. If your kid loves cowboys, or you yourself always wanted to experience what it’s like to be a cowboy, Wickenburg is the location you want to check out. There is a wide range of locations to visit and things to do here. For instance, things like horseback riding, jeep rides that will take you to Vulture Gold Mine, one of the oldest western gold mines, and last but not least, you can check out their Western Museum, which perfectly preserves the history and culture of the Wickenburg and Arizona territory. The RV resort you will be aiming for here is the Westpark RV Resort, where you’ll find everything you need. We hope you’ll find the time to visit all of these locations and share your stories in the comments below. For more recommendations for top places to visit in Arizona, and general tips on traveling with RV’s, visit Phoenix Towing Service.